The Engelsrufer Crystal Sound Balls add sparkle to your Angel Whisperer with high quality designs in Swarovski crystal. This sound ball evokes strength, passion and love. 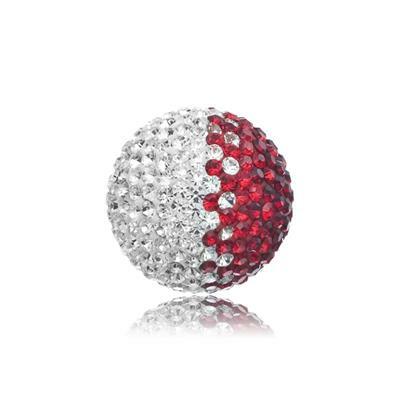 Wear your red sound ball when you want to be reminded of the passion in your life, the strength in your mind and the love in your heart. Let your guardian angel shower your surroundings in passionate love and warmth. Each sound ball has its own distinctive and individual jingle designed to call different guardian angels. Select your sound ball depending on what assistance you need that day and call your angel to your side.